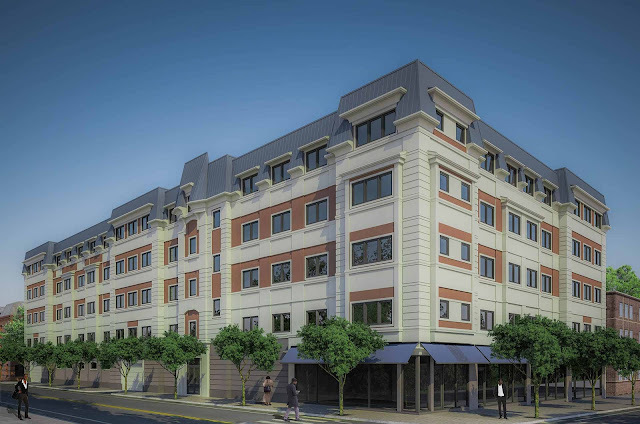 Irvington, New Jersey: A new mixed use residential and retail development will rise in the Township of Irvington. The building will be located at 722 Chancellor Avenue, at the corner of Union Avenue. Construction on the project is expected to begin this spring, and the development will include 40 apartments, first floor retail space, and a parking garage for residents. The 0.47 acre lot has sat vacant for decades. "Irvington is a community that needs investors and developers to settle for nothing less than excellence and that’s what we’re bringing", said developer Adenah Bayoh. Bayoh also owns the Irvington IHOP restaurant and will own the new Cornbread restaurant in Maplewood. The township's population has dropped significantly in recent years, from over 60,000 in 2000 to under 54,000 in 2010. However, this development and the project to redevelop Irvington General Hospital into housing and stores could start to change that.